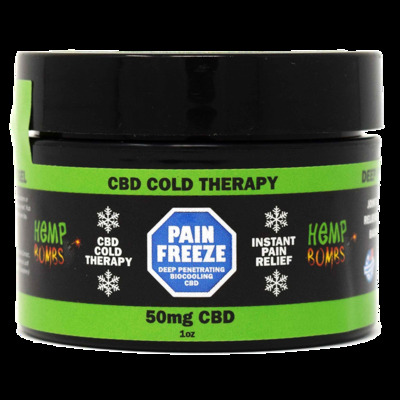 Hemp Bombs CBD Pain Rub is a soothing solution to your pains, cramps, and joints and muscle problems. 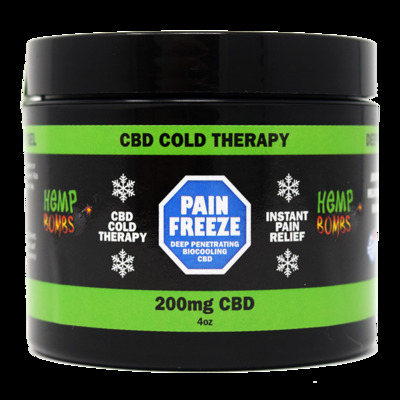 A full dose of CBD is married with a cold therapy rub to provide the user with long lasting relief. CBD is a well-known pain reliever and anti-inflammatory that is kind to a user's skin. As well as 99% pure CBD, Hemp Bombs Pain Rub is formulated with other natural ingredients like Camphor Oil and Aloe Vera to enhance the healing potential of the product. At each stage of product development, Hemp Bombs ensures the highest quality. The end consumer benefits from conscientious manufacturing practices and the top quality ingredients.